Not many of us understand Finance or the financial implications of the Budget ~ yet there is so much clamour to hear and discuss the budget.. ! Union Finance Minister P Chidambaram presented his 8th Union Budget and India's 82nd. This is the last Union Budget before the 2014 Lok Sabha elections. May not have any direct relationship – the rate of pure gold 24K was Rs.2967/- per gram as against 3009 on 18.2.13; the standard gold was Rs.2774/- per gram as against 2813 of 18.2.13. Chidambaram in his budget speech spoke of ‘Global economic growth slowing from 3.9 percent in 2011 to 3.2 percent in 2012’. He stated that India is part of the global economy: our exports and imports amount to 43 percent of GDP and two-way external sector transactions have risen to 108 percent of GDP. We are not unaffected by what happens in the rest of the world and our economy too has slowed after 2010-11. He added that however, there is no reason for gloom or pessimism. Even now, of the large countries of the world, only China and Indonesia are growing faster than India in 2012-13. And in 2013-14, if we grow at the rate projected by many forecasters, only China will grow faster than India. • No change in peak custom, excise rates. I have nothing to cheer or jeer, as none of the above would seemingly affect me or alter my way of life, in any way. Then there is announcement about all-woman banks across the country. There are women entrepreneurs, women heading bank branches and a couple of them heading banks too…. Is there any necessity for ‘all-women’ bank and in which would that help the women of India ? Are not banks today funding entrepreneurial initiatives by women?, that only an exclusive bank would do. Anyway, our FM has announced an allocation of Rs 1,000 crore as initial capital to start the first all-woman bank that employs women, helps fund enterprises started by women. There is another – Rs.1,000 crore Nirbhaya fund. Chidambaram urged the Ministry of Women and Child Development to figure out ways and strategies to utilise the fund in a way that it helps women be secure in public spaces. There have been some incidents recently which have cast shadow on the safety of women in public places. There certainly is need for curbing any violence anywhere against women, especially in public places and that way more funds to Law Enforcement Agencies, clearer directions and stringent laws are the need of the hour. May be, we have more ‘All women Police Stations, with those (wo)manning those equipped with good vehicles and sophisticated equipments’. The FM also announced a Rs 200 crore-allocation to the Ministry of Women and Child Development to make sure that vulnerable women – single mothers, widows and suchlike – are taken care of and can live with dignity. If you are a salaried employee and expected some relief ~ there is nothing in your way. There will be no change in tax rates or slabs for FY14, Finance Minister P Chidambaram said in his Budget speech. He has announced a tax credit of Rs 2000 for Rs 2-5 lakh tax payers bracket. Chidambaram said that only 42,800 people in India last year declared a taxable income over Rs 1 crore. Therefore, he levied a surcharge of 10% on people earning a taxable income of Rs 1 crore and above ~ a la ‘super rich tax’. White is right in India in almost every respect except income — where only black is the King – people flout all rules and how many of us can claim totally clean ? Sad, that the FM has admitted that there are only 42800 who admitted to a taxable income exceeding 1 crore per year; does not the Govt, FM, the authorities know that this figure is obviously low ~ with so many luxury cars getting sold, there should be tens of thousands in each city. Will the Govt ever have the gumption to punish all those tax offenders. A seemingly popular measure announced in today’s budget is the increase in the tax deduction allowed on home loan interest by Rs 1 lakh. Currently a deduction of Rs 1.5 lakh is allowed to someone buying his first home. The extra deduction of Rs 1 lakh comes with caveats. The first caveat is that the house should be bought during the period between April 1, 2013, and March 31, 2014. The home loan taken should not be more than Rs 25 lakh. And the value of the house being bought should not exceed Rs 40 lakh; if you add another couple of warranties as we put on policies, perhaps you can exclude almost all………. The Minister also suggested initiation of pilot programme on Nutri-Farms for introducing new crop varieties that are rich in micro-nutrients such as iron-rich bajra, protein-rich maize and zinc-rich wheat. He has proposed to provide a sum of upto `200 crore to start the pilots. Ministry of Agriculture will formulate a scheme and he hopes that that agri businesses and farmers will come together to start a sufficient number of pilots in the districts most affected by malnutrition. ~ meaning - "What clearly eye discerns as right, with steadfast will; and mind unslumbering, that should man fulfil". Northern India would reel under the influence of winter this period of time and in the Capital’s corridors of power, a well-oiled bureaucratic machine moves into a higher gear, in preparation of India's annual Budget, perhaps the country's most importantly yearly statement. The Budget is a complex, expansive set of documents that details the country's income, expenditure and economic policy, among others. People often quote the Great Kautilya as attaching importance to public finance and the taxation system in the Arthasastra – To him, the power of the government depended upon the strength of its treasury. That way Nation would wait with bated breath, the speech of Palaniappan Chidambaram presenting the budget. Till a few years ago, people were agog with the budget announcements – there would be crowds at petrol bunks as people would fill the tanks of their two wheelers…… funny, some of them had capacity less than 10 litres … !! Don’t expect magic in 2013-14 budget ~ history repeats itself and remember his 2008-09 budget, which set the country on the path to high inflation and low growth. Prior to Pranab Mukherjee who is often blamed for the slide, it was Chidambaram’s 2008-09 budget; seen in this backlight, things are not all that rosy. For those of us, not so conversant with Finance, the Union Budget of India is the annual Financial Statement of the Nation as represented in Article 112 of the Constitution of India; presented each year on the last working day of February by the Finance Minister of India in Parliament. The budget has to be passed by the House before it can come into effect on April 1, the start of India's financial year. Sure there cannot answers to India’s various problems in one budget exercise but the annual budget is one where Govts try to balance between aiming at growth and maintaining the present costs. The Union Budget of India for 2013–2014 will be presented by P. Chidambaram on 28th of February 2013. Former Finance Minister Morarji Desai [who rose to become the Prime Minister too] presented the budget ten times, the most by any. The first Union budget of independent India was presented by R. K. Shanmukham Chetty on November 26, 1947. Indira Gandhi, is the only woman to hold the post of the finance minister and present the budget. Dr. Manmohan Singh became the Finance Minister but presented the interim budget for 1991-92 as elections were forced. Most salaried people would look eagerly for tax sops. Presently there is no tax till 2 lakhs; 10% till 5 lakhs; 20% till the next 5 lakhs and 30% for income above 10 lakhs [for that portion which exceeds]; there is the additional 3% Education cess. Life is not all about the little increase in exemption limits……… expect the Govt to take care of better services and good governance. Until the year 2000, the Union Budget was announced at 5 pm on the last working day of the month of February. This practice was inherited from the Colonial Era, when the British Parliament would pass the budget in the noon followed by India in the evening of the day. Mr.Yashwant Sinha, the then Finance Minister of India in the NDA government (led by BJP) of Atal Bihari Vajpayee, changed the ritual by announcing the 2001 Union Budget at 11 am. So what do you expect from the budget to be presented tomorrow ? Another day, another fire, human lives lost – it will be brought under control – but no lessons will be learnt as we have been hearing similar diasters. Old dilapidated buildings, no fire fighting measures, access too difficult for fire fighting, too many humans inhabiting and more……. the situations are more or less similar in many of the reported fire accidents. This day sadly another one reported in Surya Sen market in Kolkatta killing some humans. Sealdah is one of the major railway stations serving Kolkata; the others being Howrah Station, Shalimar Station and Kolkata Railway Station. Sealdah is one of the busiest railway stations in India and an important suburban rail terminal. It is century old as it was started in 1869. Understand that till a few decades ago, there was a tram terminus too. Surja Sen market is in news for wrong reasons – this place is named after a great freedom fighter Surya Sen, famous for leading the 1930 Chittagong armoury raid. 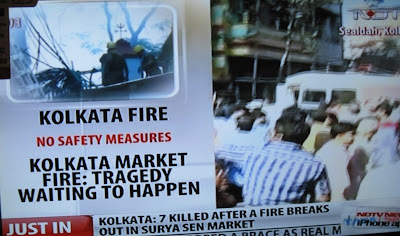 It is reported that a massive fire broke out in Surja Sen market near Sealdah in Kolkata this morning [27th Feb 2013]. The death toll is high and more than 15 persons are feared to have been killed in the fire. Five bodies are reported to have been rescued so far. More than 50 people are feared trapped inside. 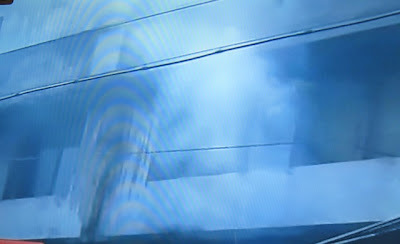 TV reports suggest that 25 fire engines were at the spot fighting to bring the fire under control. The deaths were mainly caused by suffocation. The reason of the fire was yet to be confirmed. Sources said the market complex had inflammable items like paper and plastic piled up inside. The fire was detected around 3.50 am and most of the victims and the injured were sleeping at the time. Over the last few years, the city has seen a series of major fires breaking out at crowded places. Heavy smoke and narrow lanes leading to the market are hampering the rescue work. The market houses many shops and several plastic and paper godowns. Many of those trapped inside are believed to be workers who stay there overnight. The firefighters are using gas cutters to reach them. Naharlagun is a picturesque town, surrounded by mountains, situated in the foothills of Himalayas in the Indian state of Arunachal Pradesh, 10 km the capital city of Itanagar, it is at an altitude of 200 metres from sea level. That was not enough as the opposition disrupted the Rail Budget speech over new train announcements. There is no escalation in the passenger fares even when the diesel prices are on the rise. There is marginal increase in cancellation, reservation charges. Railway revenues to show a balance of Rs 12,506 crore in 2013-14. There is a proposal for setting up Railway Energy Management Company to harness solar and wind energy; New coach manufacturing and maintenance facilities to be set up in various places including Rae Bareli, Bhilwara, Sonepat, Kalahandi, Kolar, Palakkad and Pratapgarh; Common rail-bus ticket to be introduced for Katra-Vaishnodevi pilgrims. Most importantly, Arunachal Pradesh is now connected and is in the Railway map of the country. The Railway Minister has now announced laying of the first track from Harmoti in Assam to Naharlagun in Arunachal Pradesh. The distance between Harmoti and Naharlagun is 23 km. The track is likely to be commissioned within the next fiscal year. The addition of Arunachal Pradesh to the rail network is of immense importance given its remoteness and also due to its proximity to China. The introduction of railways in the state is likely to boost India’s defence preparedness in the India-China border. Another day, another incident, blood of innocents spilled ~ and nothing happens thereafter… sad affairs indeed. Initial shock has died down; on 21st February 2013, at around 19:00 IST, two blasts occurred in the city of Hyderabad, bombs exploded in Dilsukhnagar, a crowded Shopping Area,within 100 metres (330 ft) of each other. First one at a roadside eatery named A1 Mirchi centre beside the Anand Tiffin Centre, followed by the second one two minutes later near the Route 107 bus stand close to the Venkatadri theatre. 17 people are feared dead and more than 100 injured. If you ever thought that such killings would arouse the Nation, sorry – nothing of that sort happens ~ it is nothing new – there have been bomb blasts earlier ~ now one hears of the political fight over the proposed National Counter Terrorism Centre between the State and Centre. The Govt never appears serious in thwarting the serious challenges of terrorism, the Police is ill-equipped to handle with crunch in manpower, lack of adequate technology, inadequate infrastructure of intelligence, more importantly lacking the serious political will. The State Police is always over employed in handling security for politicians and then there are always political issues. AP Police in the recent past is engaged in tackling the rasta roko called by the Telangana Joint Action Committee on the Hyderabad-Bangalore National Highway on 24 February and the Hyderabad-Vijayawada National Highway on 2 March. Interesting is the geographical location of Dilsukhnagar – it leads to the Vijayawada Highway and one can also access the Bangalore Highway by passing through it. In a fast blame game, there has been some debate over whether the police did not act on intelligence inputs – generic or specific – to neutralise the terrorists. Fact of the matter is that the Police force is unable to qualitatively strategise matters like these. Andhra Pradesh is not an exception. Everytime we get to hear about the intelligence inputs being passed on but seldom they get translated into action. Then there are so many who would rally in the name of Human rights when any one is punished by law. The sound of the blast at Dilsukhnagar was so loud that it is feared that at least 40 of those injured would suffer loss of hearing. For the sake of the safety of the people of the Nation, one hopes the sound is more of a wake-up call for the politicians. There are also reports that the CCTV footage from the camera of a shop in Dilsukhnagar shows a man with a bicycle with a container parking it near Anand Tiffin shop. This may lead them nowhere…… the challenges are even bigger. Blood from the bodies of innocents massacred by terrorist bombs over the years continues to ooze and inundate more geographical landmass. It has only one colour. But India’s vote-hungry political leaders don’t hesitate to give different hues to the perpetrators of heinous crimes against humanity. They condemn the act, but fight like cats and dogs when it comes to identifying the roots of terror and cutting them off forever. The Parliament debate on the Hyderabad blasts that killed 16 people and injured 119 reflected both the ideological and administrative division within the political establishment on fixing responsibility for preventing the explosions. Instead, they were involved in pinning down the other side for playing politics in the name of blood. But none were willing to name the source, which promotes, finances and even leads bloody attacks on the idea of a united and genuinely secular India. On the evening after the blasts, the ever-smiling Home Minister Sushilkumar Shinde was more worried about the words he would use while making his statement in Parliament the next day, rather than ponder on the failure of the state government in preventing the bombings, in spite of having received prior information. He spent all night watching live reports on TV, while his officers and that of the state government were busy finding excuses for the intelligence failure. The next morning, in both Houses, Shinde was the target of both his opponents and allies. They were hard on him, but were soft and ambivalent on the ways and means to tackle the rising menace of the murderous mercenaries of religious fundamentalism. None of the 40-odd speakers from various political parties suggested any feasible and foolproof action plan to deal with the Hydra-headed monster. For them, terror has become yet another tool to expand their share in the voter’s market. Not one leader questioned the government over its failure to bring to justice the villains who have caused such a huge loss of human lives. The way the Hyderabad blasts were handled symbolise the mind of the Indian establishment. It seems to have reconciled to the idea of living with periodic terror attacks in various parts of the country. It is busy dreaming of the Indian growth story and ignoring the evil forces that are striking at the very roots of a stable economy and democracy. It wakes up only when a gang of fearless butchers strikes. After making the usual ritualistic speeches, it’s back to slumber after the blood has dried on the streets and political parties have agreed on a ceasefire. During the past two decades, over 500 people have been killed in terror attacks in India. Yet, the nation is nowhere near a consensus over the tone and content of strong anti-terror laws. Some lawmakers mention in private that when they sit at the table to formulate counter-terror mechanisms, they are told to keep religious sensitivities and the implications of the legal framework in mind before proposing any solution for consideration to the government. While the UPA seems unwilling to commit itself to any consensual legislation, it has once again revived its agenda of imposing Central agencies on state governments. Once again, it made a strong pitch to set up a National Counter Terrorism Centre (NCTC) in all states, with the power to arrest any suspicious individual as a potential terrorist. In fact, an attempt was made to link the Hyderabad incident with the absence of an effective nationwide intelligence agency. India is already flooded with so many agencies that deal with intelligence gathering. Instead of making them stronger and accountable, the Centre is pushing for yet another elitist organisation, which may be managed by private agencies. Unfortunately, it didn’t bother to look at the various anti-terror bills sent by various non-Congress-ruled states for the President’s approval, and choose some of the best suggestions to be incorporated in a Central legislation against terror. Tragically, both the states and the Centre are dealing with terror as if the corpses of victims were like any property, which has to be equally inherited for the purposes of control and management. It is only in India where the secret hanging of a terrorist, who brutalised the symbol of democracy, becomes a subject of heated debate and protest. Even those who worship and blindly follow the American culture of getting rid of the “enemies” of the American people in secret bases like Guantanamo joined the chorus against Afzal Guru’s execution in Tihar Jail. Shockingly, there is reluctance among the political class in naming the source of terror in the Hyderabad blasts. No one anywhere in the world is in doubt that Pakistan is the world’s terror capital and its military rulers are the promoters. But naming Pakistan has become an unpardonable sin for the Indian establishment. Even the BJP leaders who spoke in Parliament refrained from directly blaming India’s hostile neighbour. It was left to its octogenarian leader L K Advani to take Pakistan head on. For the past few weeks, various terror groups and their chieftains have been spewing venom and threatening violent attacks against India in their speeches in various Pakistani cities. Back home, solid evidence about the involvement of Pakistan-based organisations in the Hyderabad blasts have been underplayed by those who claim to influence opinions and policies. Those purveyors of glamorous peace marches and legislation with a human touch forget that terror knows only one weapon. An eye for an eye, bodies for a body, and not cold showers for a blood bath. PSLV C20 successfully launches SARAL now !! This morning I had posted about the launch of Indo-French satellite 'SARAL', aimed at oceanographic studies, on board PSLV-C20 from the spaceport of Sriharikota. Most happy news for Indians is that the launch has been successful and that the first satellite is placed in its orbit now. 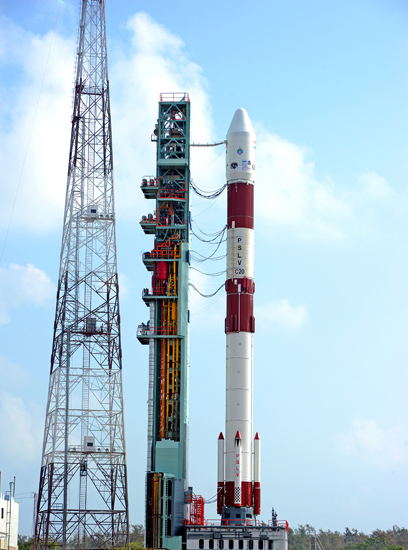 Zee & IBN reports state that the Polar Satellite Launch Vehicle PSLV-C20 was launched from the first launch pad of Satish Dhawan Space Centre at 6.01 pm. It was initally slated for blast-off at 5.56 PM local time . President Pranab Mukherjee was also present at the mega launch. Happy Indian – S. Sampathkumar. 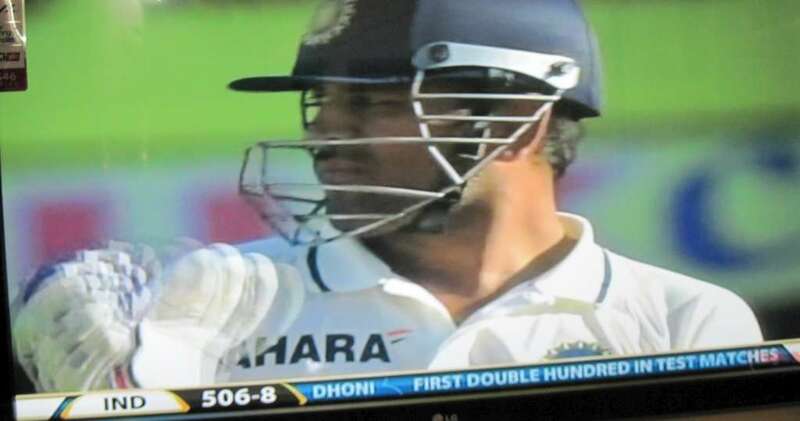 After this good knock, Dhoni’s stock has gone way up… among the Indian Captains, he is no. 3 only behind Sunil Gavaskar and Azharuddin, in terms of runs made and that is really great considering, the others played as pure batsmen. There is news that off-spinner Ravichandran Ashwin was fined 10 percent of his match fee for flaunting logos ~ where ? on his batting pads in breach of the ICC Code of Conduct during the third day’s play in the first cricket Test against Australia at Chepauk. Remember Ashwin is not even an allrounder, is a bowler who can bt a bit and yet there are so many who want him to endorse their products !!!! Nothing strange, only strange news is that somebody being penalized for such acts… Ashwin was found to have breached Article 2.1.1 of the ICC Code of Conduct for Players and Player Support Personnel (the “Code”) which relates to “breach of the ICC’s Clothing and Equipment Regulations during an International Match”. This morning Ravi Shastri was heard as stating that he would not be surprised if there is no play tomorrow…. Another day, another launch, another success ~ would make Indians lot proud. Today, Indo-French satellite 'SARAL', aimed at oceanographic studies, is to be launched along with a mix of six foreign mini and micro satellites on board PSLV-C20 from the spaceport of Sriharikota. SARAL or Satellite with ARgos and ALtiKa is a cooperative altimetry technology mission of Indian Space Research Organisation(ISRO) and CNES (Space Agency of France). The ISRO built satellite with payloads modules (AltiKa altimeter, DORIS, Laser Retroreflector Array (LRA) and ARGOS-3 (Advanced Research and Global Observation Satellite) data collection system provided CNES will be launched by Indian Polar Satellite Launch Vehicle rocket into the Sun-synchronous orbit (SSO). 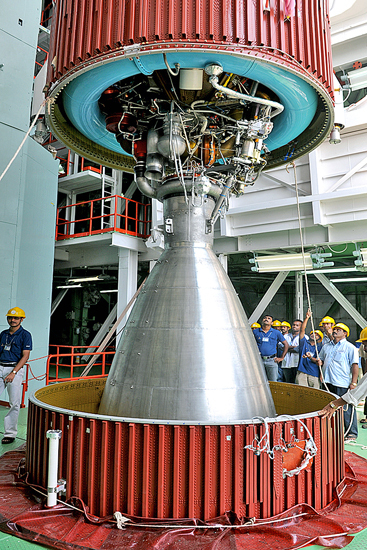 ISRO will be responsible for the platform, launch, and operations of the spacecraft. The payload carries instruments not only to measure the rise in sea levels from space, but also to collect other ocean data that helps study the coast and estuarine, tsunami prediction and may also lead to improved weather forecast. ISRO reports that there will be two instruments on board – a Ka-band altimeter named “AltiKa”, that helps measure ocean surface topography with unparallelled accuracy and “ARGOS-3”, an instrument for collecting data transmitted by 17,000 geo-tracking devices worldwide. The technology offered by SARAL would significantly improve the satellite measurement of sea levels as well as the understanding of tropical climate, the French embassy said in a statement. Being the second Indo-French satellite after the “Megha-Tropique”, SARAL is being launched after India and France signed an agreement to further their collaboration in space research during the first visit of new French President Francois Hollande. 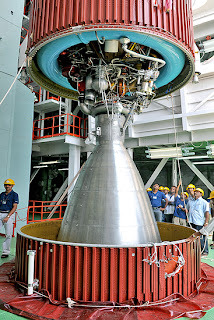 SARAL, however, is delayed by almost two years as the first launch was scheduled in 2011, which was later rescheduled to December 2012. That too was postponed and further tests were carried out to ensure the payload’s reliability in collecting and transmitting data. Scientific studies have shown that the sea level in the Indian Ocean is rising unevenly and threatening residents in some densely populated coastal areas and islands. The rise is especially high along the coastlines of the Bay of Bengal and the Arabian Sea, as well as Sri Lanka, Sumatra and Java. So, Saral would be of great help in analyzing the rise in sea levels and developing pre-warning systems. ISRO sources state that the Polar Satellite Launch Vehicle PSLV-C20 is scheduled for blast-off at 5.56 PM from the spaceport at Sriharikota, 110 km from Chennai, carrying 'SARAL', aimed at oceanographic studies,and six foreign mini and micro satellites. Aside, newspaper reports state that ahead of the launch of the Indo- French satellite 'SARAL' onboard ISRO's workhorse rocket PSLV from Sriharikota, ISRO Chairman K Radhakrishnan offered worship at the most holiest of Shrines ~ the hill shrine of Thirumala Tirupathi Lord Venkateswara. An ardent devotee, Radhakrishnan visits the shrine to seek divine blessings ahead of every satellite launch and makes another trip after its success, the sources said. Not many might know or remember of Test no.551 incidentally played in Madras – not in Chepauk but in Corporation Stadium in Jan 1964. 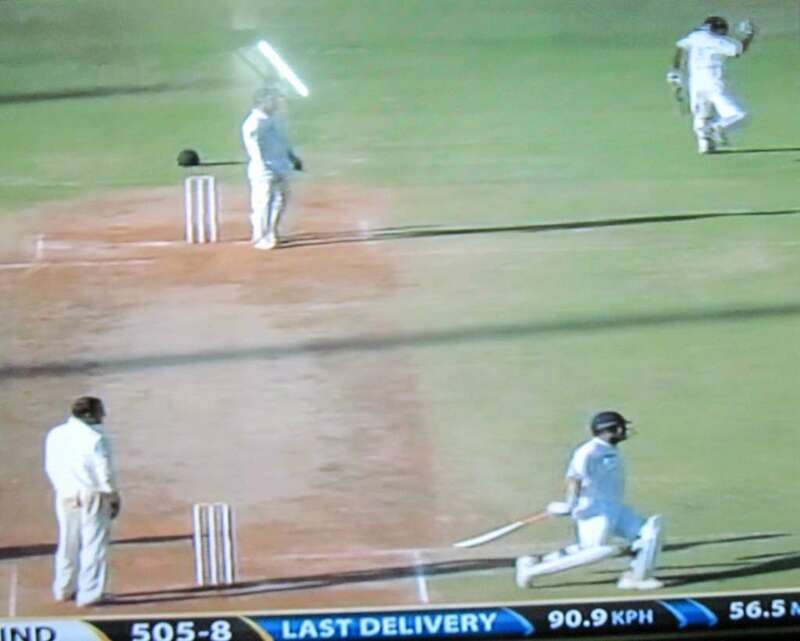 Today, fans went to Chepauk aspiring to see Sachin complete another Test hundred; nay that was not to be… Virat Kohli made one and India finished at 515 for 8 ~ a lead of 135 runs. When Dhoni walked in at 196 – 4 – a lead looked seemingly improbable. What an innings he played today and the way he tore Nathan Lyon apart.. hitting short of length, good length and murdering anything overpitched.. and reassuringly reaching his 200 in the company of Bhuvaneshkumar. For the 9th wicket, now it is a record partnership of 109 runs with negligible contribution of 16 but valuable staying from Buvanesh…. For ages, the record for highest score by an Indian wicket keeper stood at 192 ~ those were the runs made by Budhisagar Krishnappa Kunderan way back in 1964 against England when he opened the innings and was out to Titus. Now it is Dhoni, who is the man.. he has also become the highest scoring Captain against Australia…. 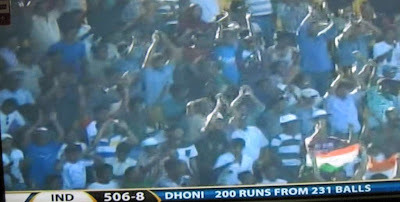 Dhoni has scored 206 of the 319 runs after he came to bat doay that have come with him at the wicket. Of this ninth-wicket stand worth 109, Bhuvneshwar has scored only 16. The highest score by a wicketkeeper is only 232 that of Andy Flower which for sure might get rewritten tomorrow. 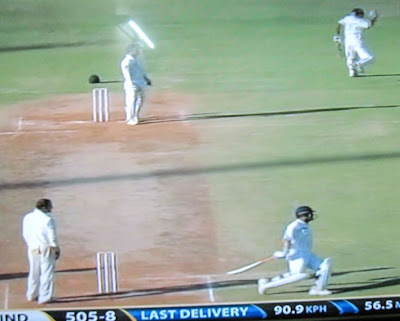 Dhoni has a swaggering arrogance in his ways and is perhaps the fastest runner between the wickets and even when he has been there for hours; today for long, he defended B Kumar taking singles towards the end of the overs and ran like a hare in between. 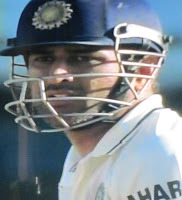 We blame him for IPL – he has almost made Chennai, his second home, ~ plays for Chennai Super Kings, has house property at Chennai and has even become a Director in India Cements………….. but this man who plays in all formats really pushes things beyond the imaginable borders, as some of his towering hits showed today. He has been ambitious, leading the Country, some criticize him for his defensive ways………….. but you cannot deny the fact that he pushes the limits and sets newer horizons……….. Great Innings – I thoroughly enjoyed seeing him play today………… Great Knock, Captain, Hats Off to you. With regards – S. Sampathkumar @ 5 pm on 24th Feb 2013. Massimilano Latorre and Salvatore Girone have been permitted to vote in February 24, 25 elections where Pier Luigi Bersani, the current Secretary of the Democratic Party is considered to be a favourite. It is election time in Italy ~ the general election to determine the 630 members of the Chamber of Deputies and the 315 elective members of the Senate, the two houses of the Italian parliament ~ the election which will determine the composition of the 17th Parliament of the Italian Republic. The elections have become due following the European sovereign debt crisis which brought about the resignation of Prime Minister Silvio Berlusconi in Nov 2011, he was also facing criminal charges is another. It is now viewed that what happens in Italy would affect the rest of Europe. If you are unable to link those two names to Italy elections, one need to go back to the shores of Kerala, a year ago to that ill-fated day on 15th Feb 2012 when two Indian fishermen were shot dead by the Italian Marines on board the vessel Enrica Lexie. It was seen as brazen killing of fishermen on board a fishing vessel which went closer to the vessel on which Italian Marines were providing security cover. The mishap allegedly occurred off Thottappally coast in Alappuzha district. On 20 December, the Kerala High Court accepted to temporarily relax bail conditions for both Italian Marines by allowing them to travel to Italy for 2 weeks during the Christmas vacation period. Italy was required to pay a further bond of Rs. 6 crore and keep the Marines under surveillance at all times. The Italian Government submitted guarantees to the High Court prior to taking custody of the Marines and was responsible for their return and surrender of passports to the Kerala High Court. On 4 January 2013, the marines flew back to Kochi airport. The ones mentioned in the first line of this post are the Italian Marines. The Supreme Court on Friday [22nd Feb 2013] permitted Italian marines Massimilano Latorre and Salvatore Girone, accused in the case of the killing of two fishermen in Kerala, to visit their country to vote in the February 24 and 25 elections. Newspaper reports state that the three-judge Bench of Chief Justice Altamas Kabir and Justices Anil R. Dave and Vikramajit Sen, while granting the permission on an application from the marines and the Italian government, questioned the Union government why it was “dragging its feet” on setting up a special court to conduct the trial. The Bench referred to the January 18 order directing the Centre to consult the Chief Justice of India (CJI) to set up a special court and questioned why no steps were taken in this regard. The Bench, in a brief order, noted that under the Italian law, the marines were not entitled to cast their votes through postal ballot. The Bench made it clear that the marines were only being allowed to travel to Italy and they would have to return to India. So Cochin in some way impacts the elections in far off Italy……………. TN CM says 'No" to 20th Asian Athletics Championships .. Given the Indo-Sri lankan relations and the tamil sentiments, it was a potent bomb…. ~ the pictures of LTTE leader Prabakaran’s son Balachandran in military custody before being shot dead published in The Hindu naturally evoked outrage and strong condemnation from political parties in Tamil Nadu. The photos were of Channel 4 TV as part of a new video film on alleged war crimes in the end stage of the civil war in Sri Lanka in 2009. Prabhakaran's son could have been killed in crossfire while he was in a little bunker. There is no need for an international probe. The photos are morphed," Prasad Kariyawasam told CNN-IBN. However, the pictures, part of a film, "No Fire Zone", which seeks to document the rights abuses during the final phase of Sri Lanka's war sure delivered a different message. The Chief Minister recalled that she ordered the return of Sri Lankan football players who were in Chennai for a friendly match in September last. In July and August, after she stoutly opposed training given to defence officials of Sri Lanka at the Air Force Station, Tambaram, near Chennai, and Defence Service Staff College, Wellington, in Nilgiris district, the officials were withdrawn from the training programmes. The Chief Minister said she had written a number of letters to Prime Minister Manmohan Singh that no training should be given to Sri Lankan officials anywhere in the country including in Tamil Nadu. The government’s decision not to host the Asian Athletics Championships in Chennai has brought into focus the state’s standing as an international sporting destination. There are mixed feelings, but none would dare to comment as political sentiments run very deep. The move would be hailed as prudent and keeping with demands of the current scenario as in the fragile environment, it is better to avoid any untoward incidents. Will that spill over elsewhere…….. and would Srilankan cricketers who have a fair sprinkling on IPL teams would be allowed is one Q ~ no speculations ! Some leaders have always stopped with statements ~ the Centre has dangled with a unclear policy on its stand against Sri Lanka for its alleged war crimes. TN CM Jayalalithaa has been a lone warrior and perhaps through her decision has conveyed to Delhi and Colombo in unequivocal terms that if India continues to indulge in diplomatese, even after mounting evidence of Sri Lanka’s alleged war crimes against ethnic Tamils and the growing tide of international outcry, the state will not keep quiet and has every reason to tick them off. Dr. Richard Ian (Ric) Charlesworth AM is a very active person. He is a sports and performance consultant, a former Australian cricketer and field hockey player and coach. He is also a medical doctor and former federal politician. Decades ago, played MJ Gopalan, a double Inernational. Morappakam Josyam Gopalan [1906 – 2003] represented India in cricket and hockey. When Ranji Trophy was inaugurated in 1934, MJ Gopalan delivered the first ball of the tournament. His only Test match was against England at Calcutta in early 1934. In 1936 he was selected in the hockey team for the Berlin Olympics and the cricket team to tour England. It was known beforehand that Gopalan would have a small role to play in the England tour because of the presence of Mohammad Nissar and Amar Singh. Still he chose the latter, which turned out to be a terrible decision. The hockey team captained by Dhyan Chand, one of the finest teams in the history of the sport, won the gold medal with little difficulty. As it turned out, Gopalan did not play a Test in England. The tour was marred by internal politics and the team returned in disgrace. 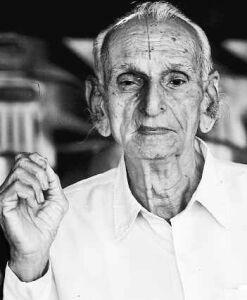 He lived in Triplicane and I have seen him at close quarters on many occasions. The bi-annual Cricket tournament between Ceylon and Madras was named after him and called ‘MJ Gopalan Trophy’. Not sure how many of you, especially women followed the 2013 Women's Cricket World Cup held in India recently. It was the tenth Women's Cricket World Cup. Australia won the tournament for the sixth time, beating West Indies easily by a big margin of 114 runs in the final. In the finals, after setting a huge target of 260, Aussie captain was worried for once… WI were coasting at 32 for no loss and their change bowler Ellysse Perry who had not figured in the Super 6 started her run-up limping up, did not deliver in her first attempts, visibly feeling the pain of her foot. She had earlier smacked 25 off 22 balls. Will she bowl was the question ? She did, and struck in her first over, trapping Kycia Knight in front and taking two more wickets at a miserly spell. She is a national footballer too. 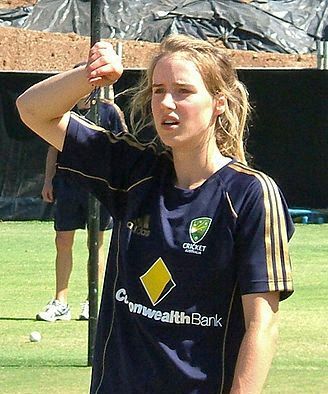 Ellyse Alexandra Perry is the youngest person, male or female, to represent Australia in cricket and the first Australian woman to have appeared in both cricket and association football World Cups. I had posted about the lonely female Umpire in the middle Kathy Cross from New Zealand who finished 4th losing to England for the 3rd place; another Newzealander had reasons to be happy, it was Suzie Bates who topped the tournament with 407 runs distantly followed by WI Stefanie Taylor with 309. Anya Shrubsole and Megan Schutt took 13 wickets each. Suzannah Wilson Bates is 25 and is an all rounder. This stylish player made her international debut against India in the ODI series in 2006. 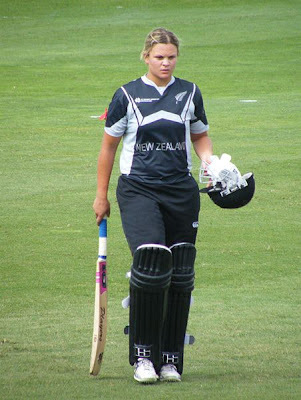 Suzie Bates, New Zealand captain and allrounder, is more – she is a basketball player and also an Olympian having participated in Beijing Olympics2008. Bates says basketball has had a role to play in improving her mental and physical fitness. Basketball fulfilled Bates' dream of going to the Olympics and gave her a chance to see athletes that one would otherwise "only see on television. It sounds as good as it can get - representing your country at the highest level in two sports in parallel, but it puts enormous strain on body and mind. In mid-2011, Bates got the New Zealand captaincy and has done more than reasonably well in Cricket. While she adores basketball, cricket is clearly Bates' greater passion. Dual internationals face constant, conflicting demands on their time. Just to emphasise the point that women are good at multi-tasking, New Zealand had two dual internationals in their World Cup squad. Sophie Devine was the other, though she could not make to finals, she was part of New Zealand’s Olympic training squad in Hockey. ‘White Ferns’ is the nickname for the New Zealand women’s cricket teame ‘Tall Ferns’ is the name of their Basketball team. It is not a place known for its calmness or even when calm, there is the simmering tensions prevailing in the city ~ and as usual the common man is worried as there are no clues as yet after the dastardly killing. Only recently, it became more notorious after the hate speech of a legislator, who challenged what would happen, if only Police / army were to be kept away for a short time !!! Thursday, 21st Feb 2013 - A sad day for the Nation ~ mindless bloodshed ~ more innocents losing their lives………. it has happened before and today it is Dilsukhnagar with pincode – 500060. Dilsukhnagar is reportedly one of the largest commercial and residential centers in Hyderabad. The name was derived from a resident who owned agricultural land around Malakpet, they say. . Gaddiannaram Fruit Market situated here is Andhra Pradesh's main fruit market and is one of the largest in the world. Today. Thursday, 21st Feb 2013, three blasts [some versions state them to be 2] occurred in the locality killing more than 15 and injuring more than 50 people. Another Indian city, this time Hyderabad again, shaken with deadly bomb blasts; innocent masses dying again. Home Minister Sushilkumar Shinde says he has informed PM Manmohan Singh and spoke to Chief Minister of Andhra Pradesh Kiran Kumar Reddy. Asked whether it was a terror attack, the minister said "it was too early to say anything and only an investigation will reveal it". PM Manmohan Singh strongly condemned the blasts in Hyderabad calling them a 'dastardly attack', and the guilty will not go unpunished. He further appealed to the public to remain calm and maintain peace. Reports suggest that the two bombs were placed within a radius of 100 to 150 metres on bicycles in Dilsukhnagar area. 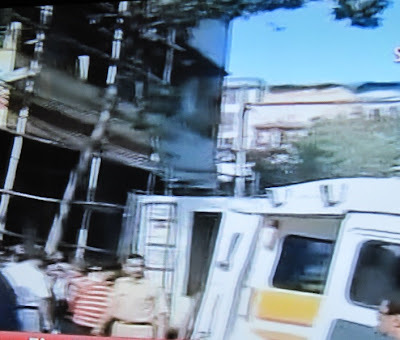 The blasts took place during peak hours outside a roadside eatery near a bus stand and Konark cinema theatre resulting in a stampede-like situation with people trying flee to safety. Reports further state that blasts were from a hero Honda bike parked closer to bus stop in between Konark and Venkatadri theatres. As usual, UPA Chairperson, Central government and PM condemned the blasts. Central home ministry declared high alert across the country. State police forces started heavy combing across all sensitive areas of the city. How will the Nation restore the confidence of the people ? who will provide succor to the kin of the victims………….. people dying for no fault of theirs, we say terrorism has no religion and terrorists are not supported by common man or groups. We want the guilty punished. Not all the time, the perpetrators are brought to book; then they face long trial meantime provided with all facilities, there are different appellate courts; even for the death sentence awarded to rarest of rare criminals, the mercy scheme is open and if at all it comes to hanging, Yet so much hue and cry raised for protecting them by the people, who seldom care for those innocents and police personnel killed by terrorists… a great democracy. We must all strongly condemns these kind of barbarian acts and demand the severe most punishment to the perpetrators and their supporters. All their ilk must be socially outcast and should not be treated anywhere including hospitals and public places. Reports state that a team of National Security Guards (NSG) was being rushed to Hyderabad on a BSF aircraft. Some would start blaming the forces ‘across the border' for the blasts. They perhaps follow a pattern. The previous major attack in Hyderabad was on August 25, 2007 when two blasts took place almost simultaneously. Then the first bomb exploded in Lumbini Amusement Park and within 5 minutes another at Gokul Chat Bhandar a popular restaurant about 5 kilometres (3 mi) away. At least 42 people were reported to have died in the two bombings. An outfit from Bangladesh was reported to be behind those blasts. Sad ~ when we call it cross border terrorism, why not declare those States as enemy states and boycott all trade relations with them. 21st Feb 2013 @ 20.30 hrs. India takes on Australia in the four-match Test series at home, which also happens to be the first Test series of the year. A Test series at home is eagerly looked forward to ~ the recent dismal performance against England at home cast a shadow on the capabilities of the present Indian team. The present Aussie line up has only four players who've experienced Test cricket in India, but still Aussies cannot be taken likely. Before you read more can you think of a bespectacled player, not so mobile on field and a rabbit with the bat, making his debut in the present scenario !! Overall, India have played 82 tests against Aussies and have won 20 of which 15 have come in 42 tests played at home. There cannot be any takeaways from the recent debacle of the tourists in the warm-up matches to little known spinners ~ whether the National spinners would bowl them twice in a helpful track remains to be seen. Harbhajan has tormented Aussies on their previous tours and is most likely to play his 100th test at Chepauk. For the visitors, Moises Henriques is likely to make his debut against the highly paid Glenn Maxwell and would become Australia's 432nd Test cricketer tomorrow. Australia on Wednesday confirmed their XI and whereas India are expected to play as many as three slow bowler, Australia included only one specialist spinner, Nathan Lyon, alongside a four-man pace group made up of Peter Siddle, Mitchell Starc, James Pattinson and Henriques. Maxwell will be the 12th man. Henriques plays aggressive cricket and could reverse swing in the tour opener. Thinking of Indo Aussie rivalry presently titled ‘Border-Gavaskar Trophy’, one test that would readily come to mind is the one in Oct 1986 ~ it ended in an unusual ‘Tie’; the second of its kind in the history of Test Cricket, it was played at Chepauk, Chennai; Gavaskar and Alan Border, both played in that test. Henriques, Watson, Warner, Maxwell, Ed Cowan and the present day younger generations could all be different – the man of this post is much different…. He debuted in the 1st Test of the Series in 1979/80 against Australia at this same venue, Chepauk. It was Test no. 855 played in Sept 1979. Kim Hughes and Sunil Gavaskar were the Captains. Playing first Australia made 390, thanks to centuries by Alan Border  and Kim Hughes . From 2 for 75, they had a 222 run partnership. Kapil Dev bowled well taking 2 wickets; it was the debutant Dilip Doshi who stole the show taking 6 for 103 off his 43 overs. India replied soundly making 425 ~ surprisingly no centuries but 50s by Gavaskar, Kirmani who came in as nightwatchman, Vengsarkar, Yashpal Sharma and 83 by Kapil Dev. John Higgs, a leg spinner took 7 wickets. Australians started their 2nd innings towards the end of the 4th day and ended up making 212/7 with half centuries by Hilditch and Border. Venkatraghavan took 3 and Doshi got 2 wickets. The match ended in a tame draw…… that was a 6 match series. 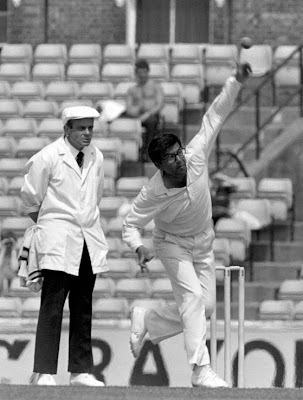 Now coming to the debutant Dilip Rasiklal Doshi, it was unique in the sense that Doshi was one of only two Test bowlers that played in their first tests after the age of thirty, yet went on to take 100 wickets, the other being Clarrie Grimmett. Dilip Doshi, the slow leftarm spinner with spectacles, was born in Rajkot in 1947, debuted in 1979 when he was 32+, went on to play 33 Tests and 15 One dayers. Having waited for so long, he didn't waste any time in making his presence felt. With figures of 6/103 & 2/64 he was India's best bowler in that debut match. He was a real bunny with the bat making 129 runs in 38 innings with 20 as the highest. Took 114 test and 22 one day wickets. With his batting skills [the absence of it] and being termed as a slow mover, still Doshi made his ODI debut during the 1980-81 tour of Australia. At Gabba, against NZ, he produced his best figures of 4/30. Doshi made his first Class debut for Saurashtra, but for most part played for Bengal taking 318 wickets in Ranji trophy at an impressive average of 18.33. He had a long stint in English league playing for Nottinghamshire and Warwickshire. He had immaculate control over the flight and turn and should have played much more but was part of the unfortunate group of Rajinder Singh Hans, Rajinder Goel, Padmakar Shivalkar – all left arm spinners, who were ignored by the brilliance of Bishan Singh Bedi. There is a feeling that Doshi's uneasy relationship with Sunil Gavaskar, especially during the Pakistan tour of 1982-83 - was primarily responsible for his Test career running into a brick wall. 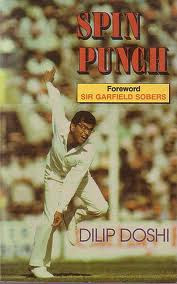 ‘Spin Punch’ was his auto-biography. Doshi is probably one of the few cricketers who after retiring from the game chose an entirely different playing field. He was the Managing Director of Entrack India, a firm that marketted Montblanc pens in India. His son Nayan Doshi, plays English league. The Hobbit ~ wins a Technical Oscar !